Violence erupted across Kerala Friday night with bombs hurled at the house of Thalassery MLA and CPI(M) leader A N Shamseer among other places. "This was an RSS conspiracy to instigate violence in the state. They intend to create violence and destroy the peaceful atmosphere of the state," Shamseer told media. Bombs were also hurled at CPI(M) leader and former Kannur district secretary of CPI(M) P Sasi's house at Thalassery and a CPI(M) activist Vishak attacked at Iritty, a place in Kannur district. In another development, prohibitory orders have been issued at Pandalam, Adoor and Kodumon police station areas in Pathanamthitta district for seven days. Two shops and the house of a CPI(M) local leader at Adoor were also attacked with bombs on Friday. Seven persons were injured in these attacks. Pathanamthitta has witnessed widespread violence over the entry of women into the hill-top shrine of Sabarimala resulting in the death of a Sabarimala Karma Samiti member Chandran Unnithan at Pandalam. Kerala has been marred with violence since the afternoon of January 2 after two women of menstruating age managed to enter Sabarimala temple. Calling for legislative intervention on the Sabarimala issue, the Congress on Friday voiced its concern over the tense situation in Kerala. 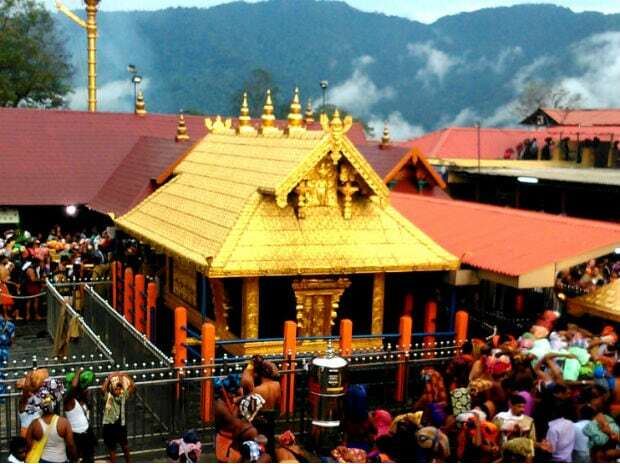 "People are upset as there is a lot of apprehension among the believers of the Sabarimala temple," Congress' K.K. Venugopal said. Raising the issue in the Lok Sabha during zero hour, he said the BJP had given a bandh call on Thursday which caused large-scale damage to properties. "We want peace in the state. We want a solution. Atrocities and violence are not the solution. Therefore, the government should come forward. Otherwise the government is promoting violence in the state. We are appealing for legislative intervention," he said. The Kerala police have arrested 1369 and detained 717 under preventive measures till Friday morning in connection with the hartal-related violence in the state after the entry of two women of menstruating age in the Ayappa temple. The accused also include two CPI(M) workers who were arrested earlier in the day in connection with the death of Sabarimala Karma Samiti worker, Chandran Unnithan, during a clash in Pandalam amidst Sabarimala row. The police have registered 801 cases in connection with the violence that broke out after various organisations called for a state-wide shut down of shops and other establishments on Thursday to protest against the entry of the women.